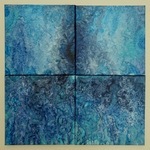 Qualia 1 : 4 = 1, four panels of acrylic on canvas. 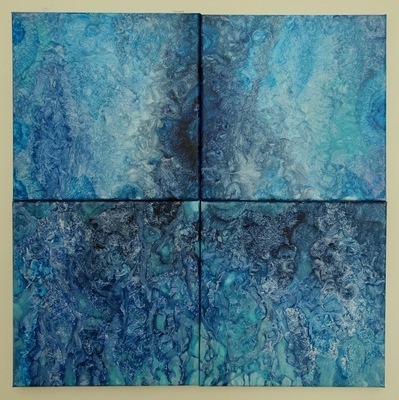 Mills-Pinyas, Ron, "Qualia 1 : 4 = 1" (2019). Learning to Count to One; Can the Center Hold? Tesserae @ .25 : .5 : 1 : 2 : 3 : 4 : 6 : 12 : 24 : 48 : 72 : 96 : 120. Attraction and Entanglement. Image. Submission 3.